Fossil’s new hybrids between analogue and smart- watches are just around the corner with a release date on the 28th of this September. They were first announced at Baselworld 2016, where the beautiful wearables were unveiled. There are four new smartwatches coming, and the main differences are simply in the design, the hardware is all the same. It is quite a fun smartwatch, as due to the nature of an analogue smartwatch, it is difficult to show you notifications. However, with the Fossil Q’s you can assign a number to each contact, and every time you get a call or message from that particular person, the watch hands will turn and point to the corresponding number. There is an option for dual time zones and you can set alarms via the app. 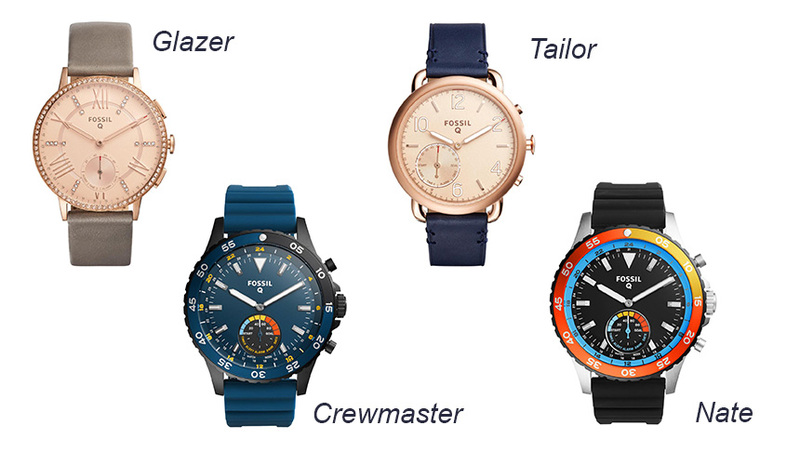 The line includes two smartwatches for women and two for men. 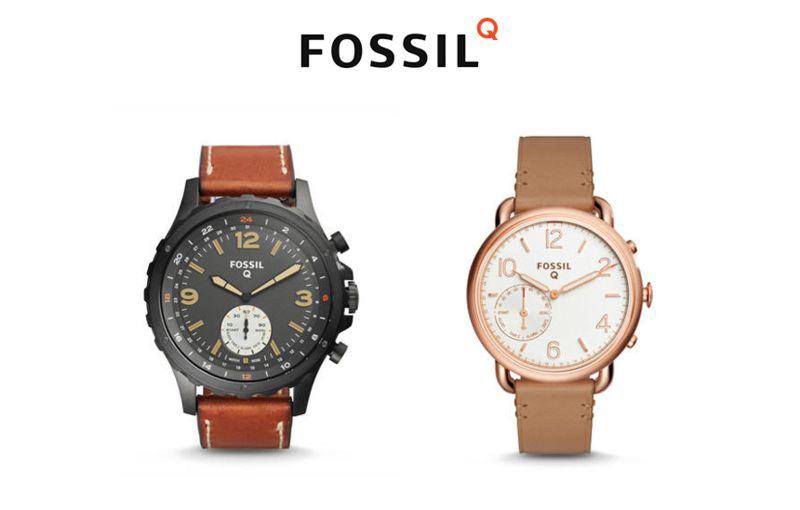 Fossil Q Crewmaster features a solid stainless steel build and is for men. The Fossil Q Nate, also for men, is perhaps the nicest smartwatch. Then you have two smartwatches for women, the Fossil Q Tailor, which features a leather strap and rose gold. Then the Fossil Q Glazer, with a more decorative bezel and metal straps. While the Fossil Q’s might not be as smart as other smartwatches, they are still very much capable. Much like with the Withings Activite Steel, you can have a smartwatch while still keeping a beautiful time piece on your wrist. You still get the activity tracking, sleep tracking and alarms even notifications, as we said above. A button on the side can be set to trigger a functionality of your smartphone, perhaps taking a photo or playing and pausing music. Just like the Activite Steel you get an amazing six-month battery life to top it off, with just a regular coin cell battery, so you can wear it all day every day, with no worries about battery life. All four watches start from $175 at their most basic offering. Works with iOS as well as Android and pre-orders begin on the September 14th. This is a smartwatch for anyone who wants some smart capabilities but doesn’t need all the features, and is a fan of the classic watch look. With the long battery life, this is a very compelling smartwatch, and might be a good choice for newcomers to the smartwatch field.